People around the world are constantly looking for new ways of improving their way of life without causing their environment to suffer in the process. While style and being on top of the latest trends was once the most important aspect, today it’s all about going green. One of the most recent steps, with regards to eco-friendly heating, is the rocket stove mass heater. Not only do they provide your home with wonderful warmth but they can also heat your home at a fraction of the cost and without leaving that harmful carbon footprint. 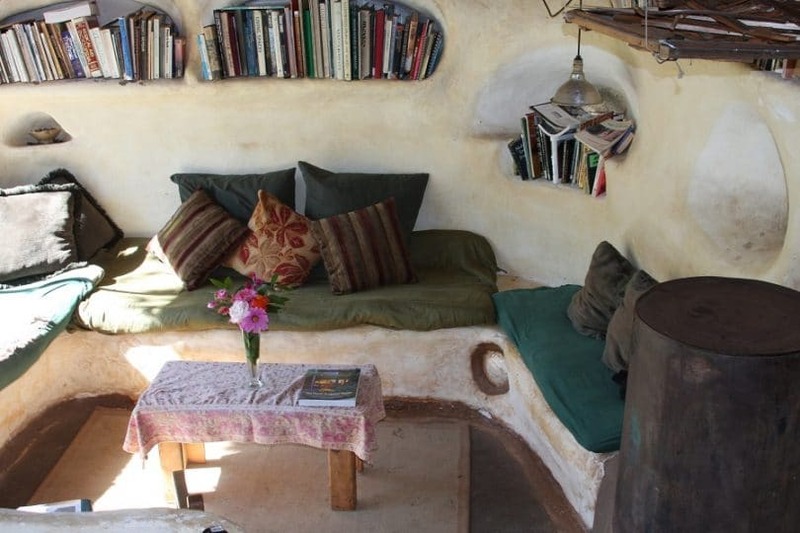 Best of all, you can build one yourself, and this is an amazing way of helping keep your home off the grid and self-sufficient. 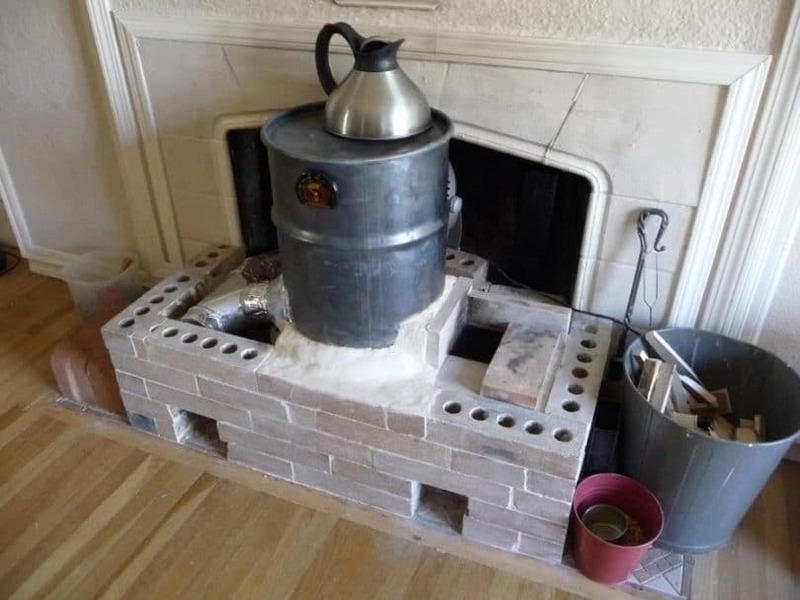 A rocket mass heater is a space heating system that works by using the same main concepts the rocket stove and the masonry heater. It works using an insulated combustion chamber. 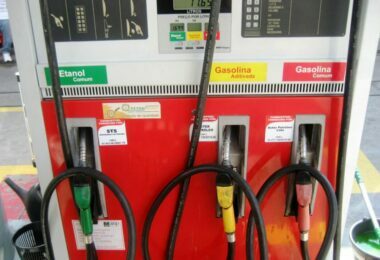 Here, the fuel is burned at high temperatures as well as high efficiency. The thermal gases are not immediately released into the air. They first need to make their way through the system, and this means that they will heat up the thermal store. This thermal store can be built to act as a heat source as well as a part of the features in the room. In other words, you can make seating areas out of the thermal store, so you have heated seating that keeps you and your home warm! This means that the space used for this heating system is automatically recovered by putting it to good use. Of course, it’s always good to ensure that you plan the design properly according to the size and dimensions of the room. When learning how to build a rocket mass heater, it’s important to prepare yourself for the entire project. This is by no means the sort of project that should be taken lightly. It needs careful consideration and planning in order to avoid any problems. That said, unlike many other heat sources, your rocket mass heater will prove relatively hassle free. It’s essential that you are realistic in terms of the building of this heater since, unlike household appliances, they usually require the DIY approach. If you’re not keen on getting your hands dirty, then taking on this kind of project might not be for you. Of course, if you have some handy helpers who don’t mind performing the construction and installation – then by all means go right ahead! Careful construction is required in order to reduce any risk of chimney fires and other accidents in the future. On the topic of chimneys, it’s important to note that some modifications might be necessary for rocket mass heaters. The heater exhaust is far cooler coming out of these systems than your regular fires which is why they might need a bit more help. Horizontal exhaust vents might not be suitable at all due to building codes. In fact, it’s always important to check the local laws before you begin any such construction. There are a number of great benefits to this type of heater. A great amount of heat production to keep you warm even in the coldest months. Low amount of pollution which is always a plus for the environment. Aesthetically pleasing designs make it a feature rather than an eyesore. Financially attractive option since it costs less to heat your home. Low maintenance means less that you have a source of heat that you can rely on. 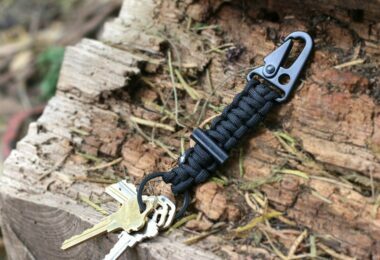 Uses small pieces of wood which can be found in your own garden. No need to chop and split wood. This is particularly beneficial during the coldest weeks of the year when you want to keep your workload to a minimum. Easy to clean which means less work and more time to enjoy your home. 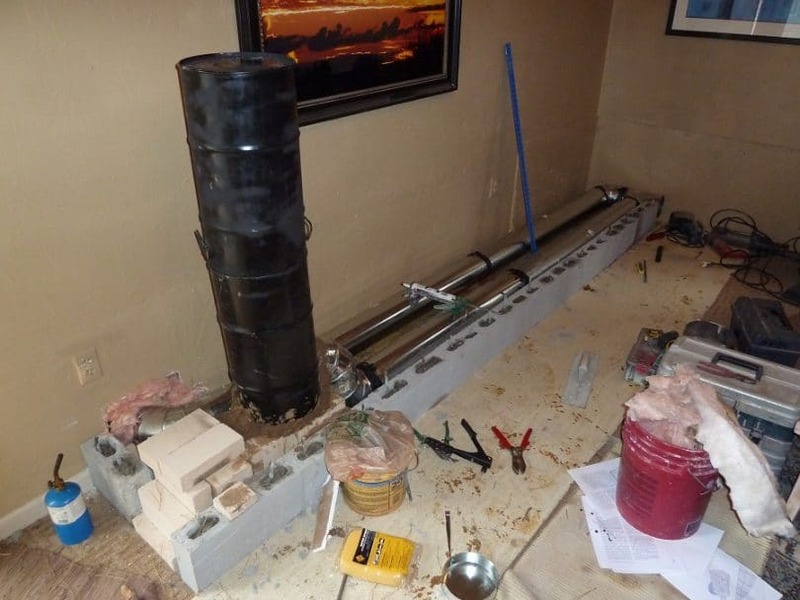 Building rocket mass heater yourself is a highly rewarding project that can more than pay for itself over the years to come. It’s not only about your wallet, but also the other great benefits listed above. That said, an understanding of the possible cons is also essential since this will help prevent you from making mistakes or errors in judgment. The need for more frequent tending since small pieces of wood need to be used. The need to be installed along with a thermal mass if you want to enjoy maximum efficiency. By warming a larger surface area, these areas will warm the surrounding air. You will need to use small pieces of wood and branches. You cannot use large pieces of wood. Condensation is known to form along the exhaust line due to the temperature differences. In order to prevent heat or emissions from escaping, the exhaust line must be airtight. You will also need to install several clean-outs along the exhaust line. This will ensure easy access when you need to perform regular cleaning. Steel sections will need to be replaced from time to time. 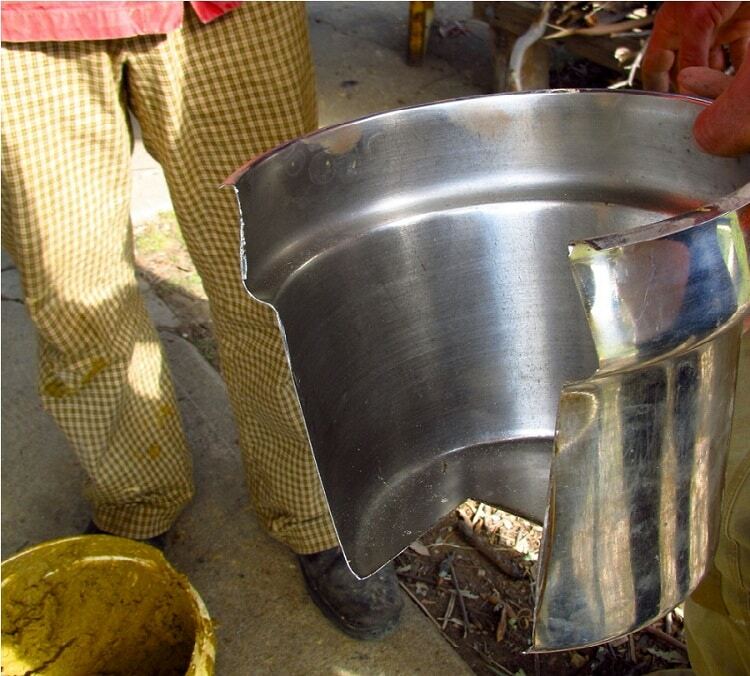 Just like any metal component, regular exposure to heat will cause wear and tear. If you over-fire from time to time, it will cause the steel to wear out even faster. Use a sheet of 26 gauge metal for the base. It should be 1” larger on all sides than it actually needs to be. This will allow for rounding off. In this example, the 48×20 sheet is for the base. Use your marker to make a 1” line around the edge. Cut each corner to the 1” mark using tin snips. Curved areas need extra cuts to avoid bubbling of the metal. Use the pliers to bend the 1” flap up. Make sure they are all bent at right angles. Cut the flap off or bend it under the base where your ash box will go. Position your base and hang a plumb bob from the middle of where the stove points down – mark the metal. Using this mark as a central point, draw a circle around it. The circle should have the same diameter as the stovepipe. Now it’s time to build the walls. Each of the 2 left-hand uprights must be 15” tall. They are connected to one another using a 16” piece of metal. All metal parts need to be welded in place. A horizontal piece of tubing will run from the back uprights. Make a mark 13” from the left edge of this horizontal tube and weld another upright piece (19” tall) just to the right of the mark. Cut a 28” long horizontal piece to be welded between the left and right front uprights. Cut and weld tubing between the two right uprights. Cut two 7.5” tall upright tubes and a 8.5” wide horizontal piece. Weld the horizontal piece to the uprights and place it inside the base to match the corners of the opening to the ashtray. Clamp the metal at the points where two straight metal edges meet. Use your hammer to bend the 1” portion over at a right angle. Screw the metal in as you bend the metal and follow the same shape as the base. Screw the metal in at the point of each upright. Now screw in the base of sheet metal all the way around. They should be 4” apart. Put the ashtray frame in place inside the unit and screw the sheet metal. Use screws around the hole. Use high-temperature silicon to seal the base and any seams. Use a 20” wide by 89” tall piece of sheet metal and clamp one end between two pieces of the taller square tubing uprights. Let 1” hang over the edge and hammer it down at a right angle. Place the 1” flap on the left, back tall upright. Allow the rest of the metal to run along the back. Screw the back piece of metal but not the flap. Screw in the metal by following the main shape of the first layer of metal. Just don’t take it right back to the first upright. Let that tail end remain loose for now. Screw the two layers of sheet metal together and paint the exterior with temperature resistant paint. Position the unit and make sure it lines up with the hole or existing stovepipe. Connect your stovepipe so that they will reach the exit hole in the wall from inside the unit. At the bottom, you will need to add an elbow which should point to the left. Cut a 26 gauge sheet of metal (41”x36” tall) – you can extend this sheet all the way to the top of the stovepipe if you want to conceal it. However, leaving some parts exposed is better for rapid heating purposes. Paint the exterior of the metal with temperature resistant paint and wrap it around the stovepipe. Connect it with a 1” overlap. The dimensions of this design are 6” width, 14” depth, and 7” height. Use 16 gauge metal and cut three pieces: One sized 14” x 6” and two sized 6” x 7”. Make a box by welding the pieces together and add a handle to the front. Once it has all cooled down, apply temperature resistant paint and put the box in place inside the opening. Stacking the bricks helps create a pathway for the smoke to travel which means that you need to be strategic in your planning. Special heat resistant bricks must be used if they come into direct contact with the heat, but for those situated on upper levels, you can use regular bricks. Stack the bricks around the elbow and above it. Make sure that they are secure and that they will not shift around. Pour some sand in the back corner, behind the bricks, and around the stovepipe. 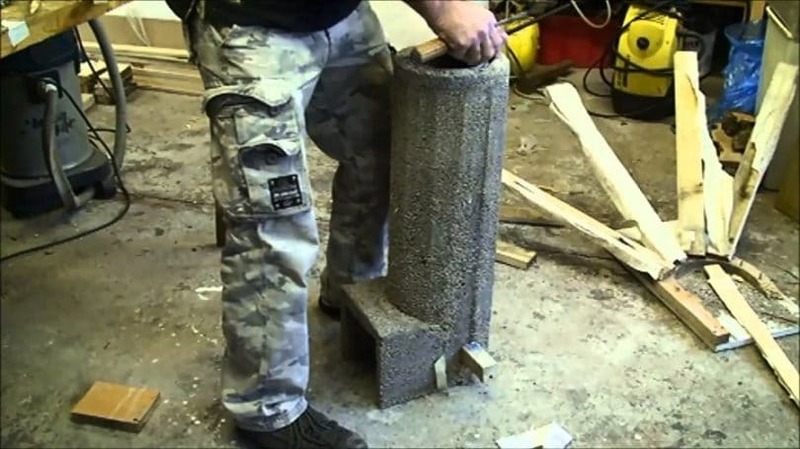 Leave a gap of 6” between the stovepipe’s elbow and then begin stacking your bricks to a height of 8”. Leave approximately 1/4” between the bricks and your ashtray. This will allow the ashtray to slide in and out with ease. 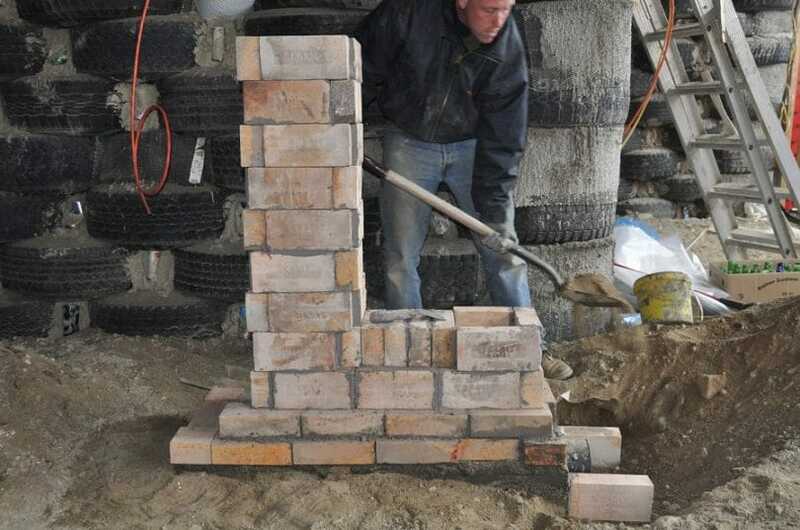 Stack bricks around the ashtray and leave 1/4” on all the sides and fill in around the bricks with sand. Put the grill on top of the 8” tall bricks. Place it in the center of the firebox area (top left of the unit, over the ashtray). Make a box on top of this level – from the right of this grill to the bricks that are located 6” from the stovepipe. Make sure that you build a roof (using bricks to bridge the front and back walls). It should be 7” tall, including the roof, but should not reach the first level of the sheet metal. You need to leave space for a finishing layer of bricks. Fill the areas behind the bricks with sand. This is one of the most important parts of all. This length of pipe must be properly insulated in order to increase the rate at which the heat will rise. 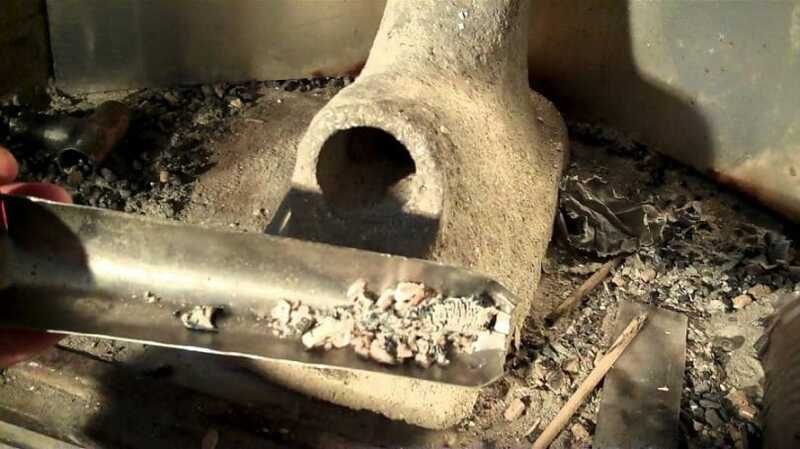 Start by using 6” well casting pipe for the interior (it is approximately 1/4” thick and 32” long). Place the pipe on top of the brick roof, mark the bricks where this pipe will go and then cut out the inside of the circle with your saw and masonry blade. Cut inside the mark so that the hole is smaller than the tube. Next, cut a 32”x40” 16 gauge piece of metal and bend it evenly to form a 32” tall tube. Screw the metal to secure the tube shape and place is around the 6” pipe. Fill in the area between the two pipes with perlite and back it carefully as you go. Next, you will need another barrel wider and taller than the one holding the perlite. This will allow the smoke to rise and go down to the stovepipe. Cut another 16 gauge piece of metal (33.5” x 42”) and bend it so that it forms a tube with an overlap of 1”. Screw one side to the other to secure the tube in place. Cut a lid for the barrel and weld it in place. Once cooled, paint it with the high-temperature paint and remember that this portion will remain exposed without any sand around it. It gets very hot so you must use thick metal. 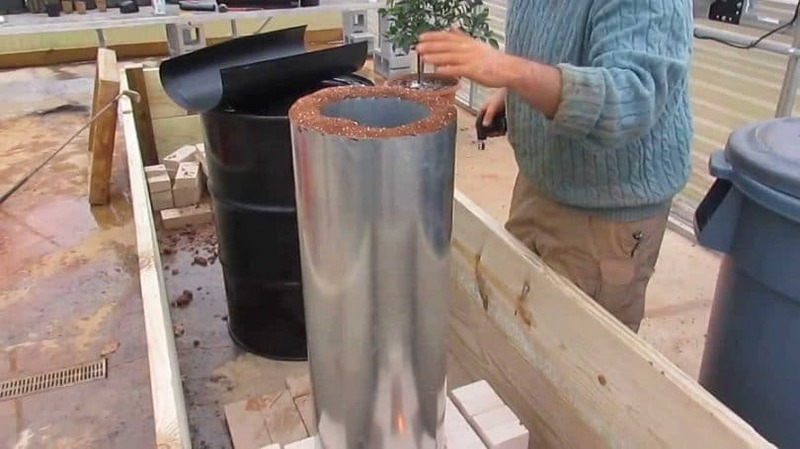 Place this barrel over the perlite barrel and ensure that the right edge extends over the bricks and allows air to flow to the stovepipe. Protect this passage by stacking bricks between the stovepipe and barrel. Fill with sand. Bend the loose flap of metal (from the second layer of metal section) around the back and secure it to the upright using screws. Use sand to fill up this level and the stovepipe’s barrel. Fill both to the top and leave it to stand for about a week so that the sand can settle. Fill the remaining space on top with washed pebbles. This is great for the aesthetic appeal as well as preventing the sand from making dust. Add your final layer of bricks on top of the firebox. Measure and cut them for the perfect fit. When you are happy, it’s time for a test run – place some paper and twigs in the box and let them stand on the grill. Light the dry materials and, once they burn, you can add more. Use small pieces of wood and avoid larger pieces that could end up getting stuck and smothering the fire. No flames or smoke should come up because the draft created by the heat riser helps pull the fire in a horizontal direction. If you notice smoke rising, push the burning materials inside a bit more. It’s possible that you just need to allow the system to warm up a bit more before a strong enough draft is generated to draw all the smoke out. That said, you should only experience a minor amount of smoke entering at the early stages of burning. If a lot of smoke comes your way, you might need to examine the system for any problems. You might want to see our earlier piece on fire safety tips to guide and protect you, do check it out! When you compare this method of home heating to other options like your conventional home wood stove, it’s easy to spot the differences. 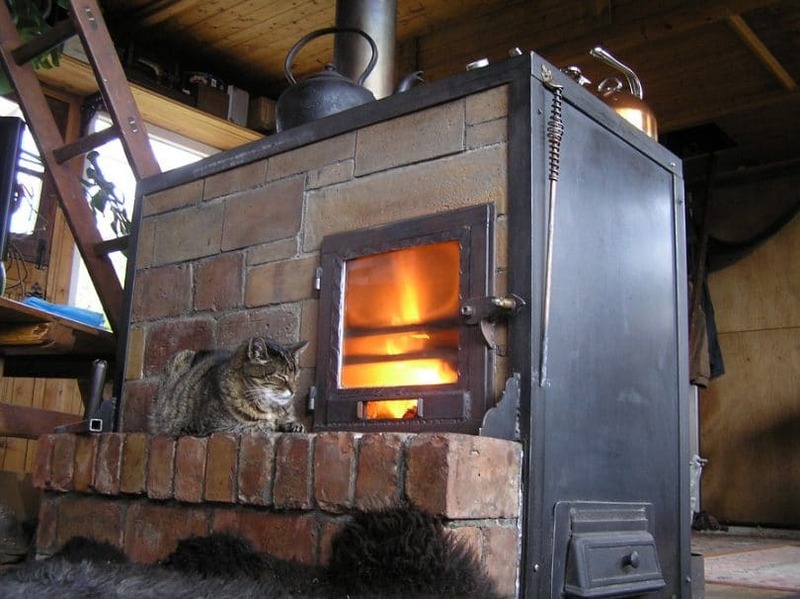 A wood stove is designed in such a way that the heat produced from the burning process is lost. This is because the smoke and heat makes its way straight up and out the chimney. Hot air raises which means that the heat won’t stick around as long as you’d like. This means that you need to use more wood in order to reach the desired temperature. 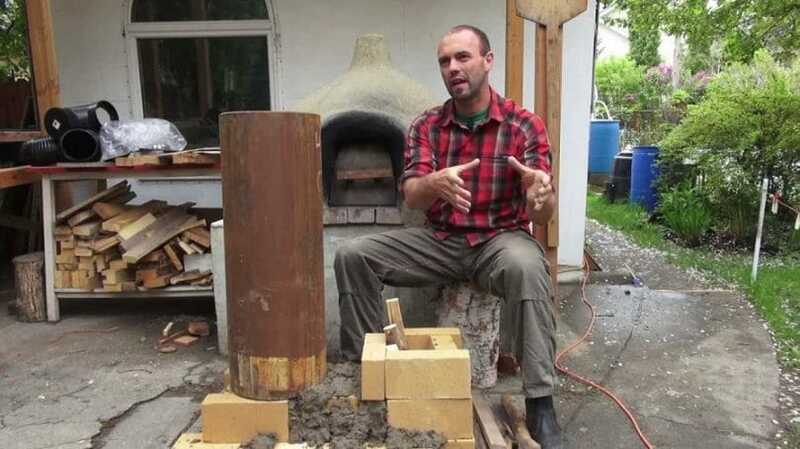 For tips on how to make a wood stove, see our article on this topic. 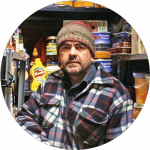 The rocket stove mass heater, on the other hand, conserves energy by forcing the emissions along a longer and more specific path. This means that the heat will take longer to escape and, as a result, the exhaust and surrounding areas will be in contact with the heated air for longer. This means that you will need to use far less wood, and there are also cooler emissions when using this heating unit. Once you are all done building your own heating system, it’s time to test it. In fact, it’s always wise to do a test run before you perform any finishing touches. 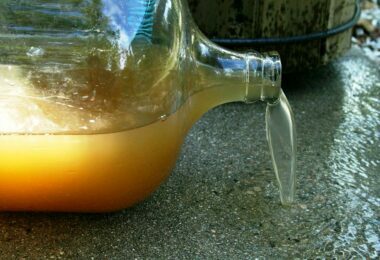 Make sure that you test for leaks and seal the system completely before you get comfortable and enjoy the wonderful warmth! Take note that there are a number of fabulous designs to choose from. It’s not just about making your home warm and attractive but also giving yourself a place to warm up quickly every time you enter your home. If you have ever felt the desperate need to defrost or simply enjoy reading a book in a snug, warm place, this is the perfect solution!